I have been in a super snacky (yup, totally a word!) mood lately. I thought I would share some new to me finds that I have been loving as snacks. 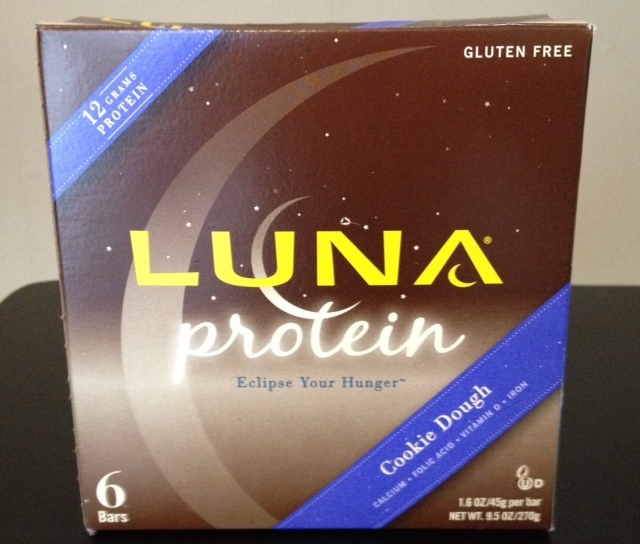 Luna protein bars (specifically the Cookie Dough flavor). Oh My!!! Next to Quest bars, these are my favorite protein bars. They seriously taste just like a candy bar and I LOVE them. FYI – They are on sale this week at Target for just $5 for a box of 6. I may or may not have picked up 5 boxes of them today. 🙂 If you never tried these, you NEED to. 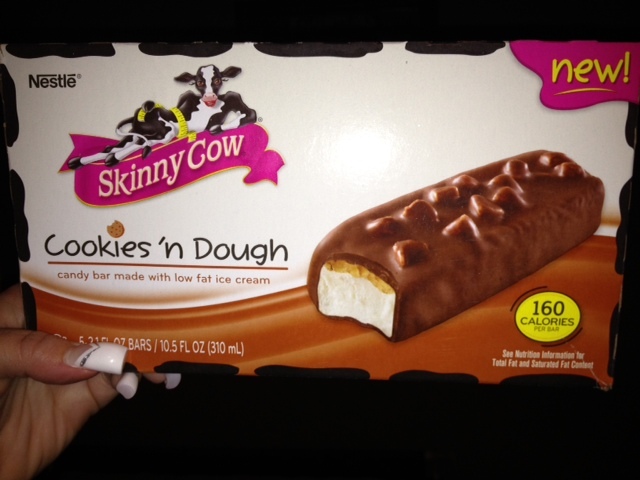 Skinny Cow ice cream bars – I LOVE Skinny Cow ice cream and eat a 150 calorie ice cream cup for my snack almost every night. I just recently picked up a box of these bars because they were on sale and I am definitely a fan .. just like a frozen candy bar! 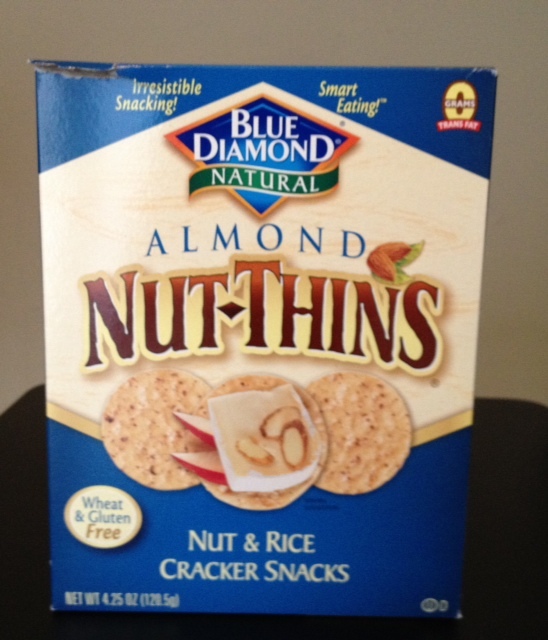 These Almond Nut Thins are amazing. A serving is just 130 calories for 16 crackers and they are so tasty. I also bought a box in the Cheddar Cheese flavor but haven’t tried them yet (if they are even 1/2 as tasty as the ones above, the box will not last long!). 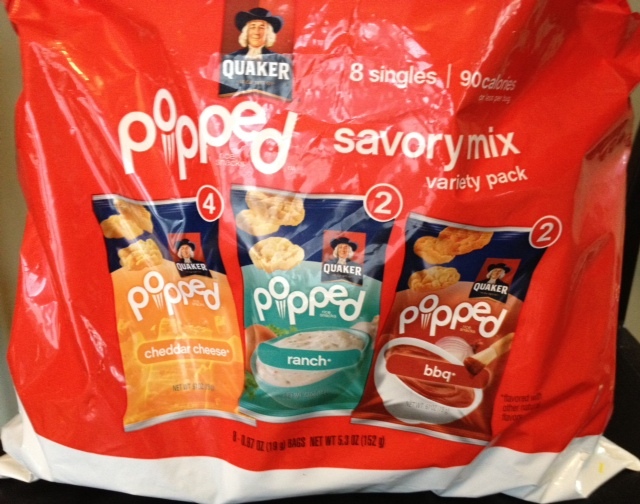 Quaker rice cakes – These individual size bags are just 90 calories each and make a great snack. My favorite flavors are the Cheddar and BBQ. 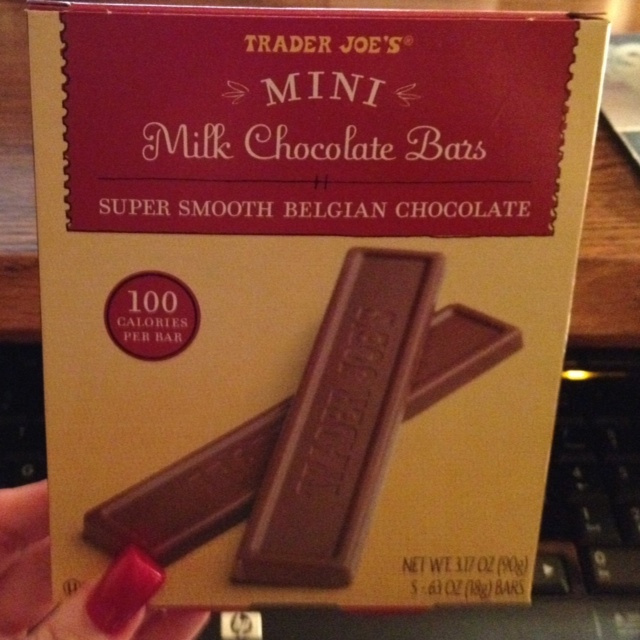 Trader Joe’s Milk Chocolate Bars .. just 100 calories each .. need I say more??!! What are some snacks you’ve been loving lately?? I do LOVE my snacks too 🙂 lets see, larabars, fudgesicles (so glad its summer so eating them isnt as weird- i eat them all winter too) fruit… those skinny cow bars look so good, im going to have to keep an eye out for those!